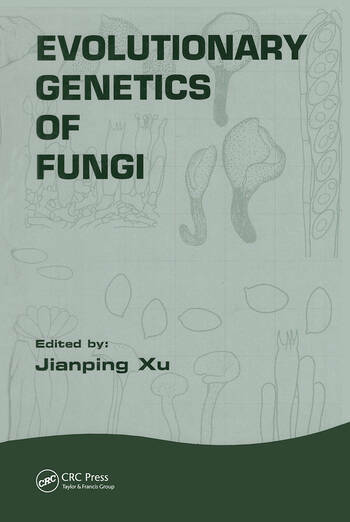 This timely book describes the use of molecular techniques and bioinformatics to study the evolutionary genetics of fungi. The focus of the book is on the most recent advances and current theories in this highly topical area. Topics covered include the molecular methods currently used for typing species and strains of fungi, the selection of methods to address specific questions, molecular systematics, biogeography, population genetics, mitochondrial inheritance and evolution, drug resistance, mutations, model organisms, and much more. This is essential reading for scientists and researchers working in mycology and a recommended reference text for all science libraries. 1. Molecular Systematics: Major Fungal Phylogenetic Groups and Fungal Species Concepts. 2. Diversity and Biogeography of Higher Fungi in China. 3. Biological Concepts of Vegetative Self and Nonself Recognition in Fungi. 4. Fundamentals of Fungal Molecular Population Genetic Analyses. 5. The Population Genetics of Phycomycetes. 6. Population Genetics of Ascomycetes Pathogenic to Humans and Animals. 7. Molecular Population Genetics of Basidiomycete Fungi. 8. Fungal Mitochondrial Inheritance and Evolution. 9. Evolution of Drug Resistance in Pathogenic Fungi. 10. Rates and Effects of Spontaneous Mutations in Fungi. 11. Cryptococcus neoformans Evolves as a Model of Choice for Studying Signal Transduction.